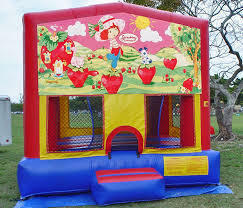 Strawberry Shortcake is a 13' x 13' bounce ride. Customer pick up or delivery. Delivery includes set up and break down of the bounce ride.